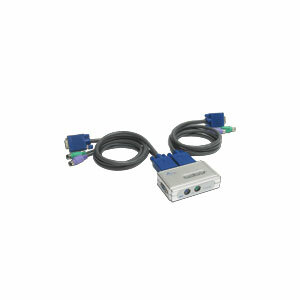 Increase your workspace efficiency with the AKVM-S32 2-Port Slim Desktop KVM Switch! A great solution for multiple desktops/laptops around your workspace, the AKVM-S32 lets you control two computers with only one keyboard/mouse/monitor setup, reducing the clutter of extra keyboards, mice and monitors. Switching between the two computers is a button-push or keystroke away!! Support for Microsoft Intellimouse, Logitech, Net Mouse, etc.